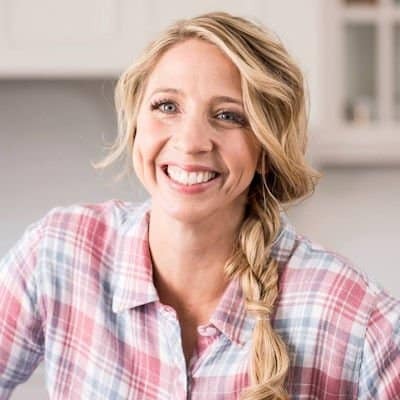 You are here: Home / Oils / Cleaning Recipes / Keep it Clean. 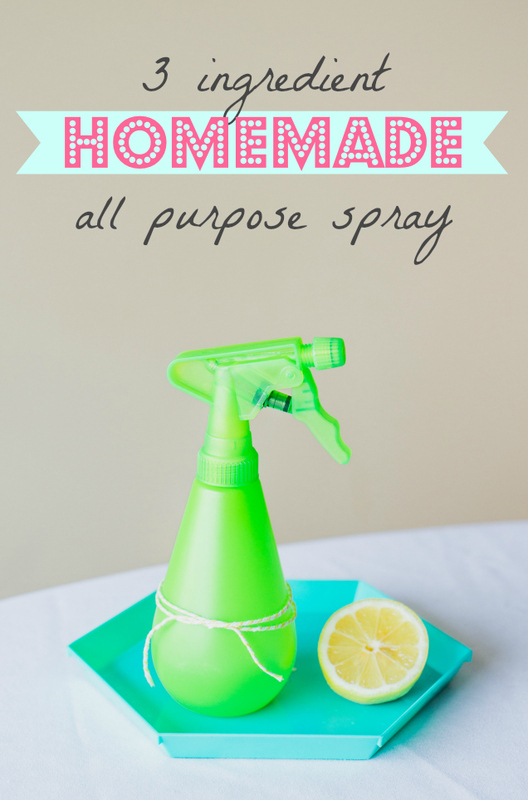 Easy 3 Ingredient All Purpose Spray. Keep it Clean. 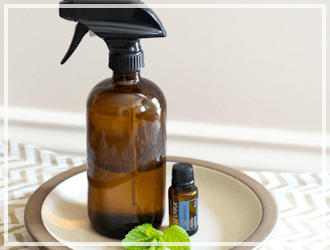 Easy 3 Ingredient All Purpose Spray. So, let’s be real. 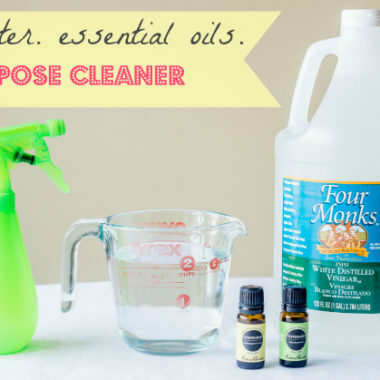 There’s about 1.75 million homemade cleaner recipes floating around out there. I’m sure they’re all fantastic. You know what’s fantastic to me? Easy. Simple. Cheap. Can I get an AH-MEN? This recipe is pretty much my favorite. It takes about 30 seconds to pour in a bottle and bam. You’re good to go. I use this as my primary bathroom cleaner, kitchen counter cleaner, and anything cleaner that needs a quick wipe down. The best part about it is the smell. 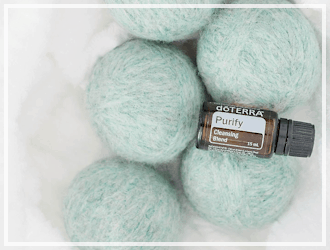 Depending on which essential oils you choose, it can smell like heaven or other heaven. I know, tough choice. I typically go with Lavender, Tea Tree, or Lemon oils (or all 3!). Sometimes I’ll throw some Peppermint in too, because I love the smell. The other heavyweight cleaning ingredient involved is vinegar. Because of it’s high acidity levels, mold, bacteria, and other germs don’t stand a chance. The essential oil cuts out the sharp smell of the vinegar, so you really can’t go wrong. 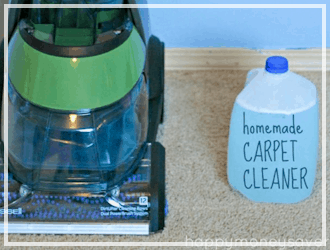 Pour everything in your spray bottle of choice and shake it around for a second. I shake it before each use to ensure the oils are well mixed. Now let’s take a look at the cost to convince you even further. Vinegar: I get 2 gallons at Costco for $3.49. That makes each gallon $1.75. I use about 2 C per bottle, which is 1/8 of a gallon. That’s makes the total vinegar price $.22. 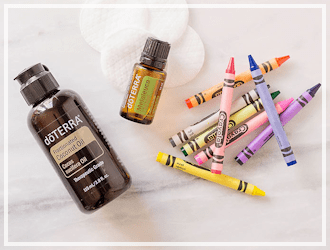 Essential Oils: 10-15 drops will cost you around $.30. I would choose this spray hands down over cleaning wipes any day of the week. And with the average container of wipes costing between $3-$4, this spray is much more economical. Is there even a question? We have a clear winner, folks. Now go and enjoy! 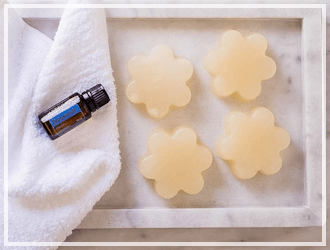 Check some of my other posts I have using essential oils! 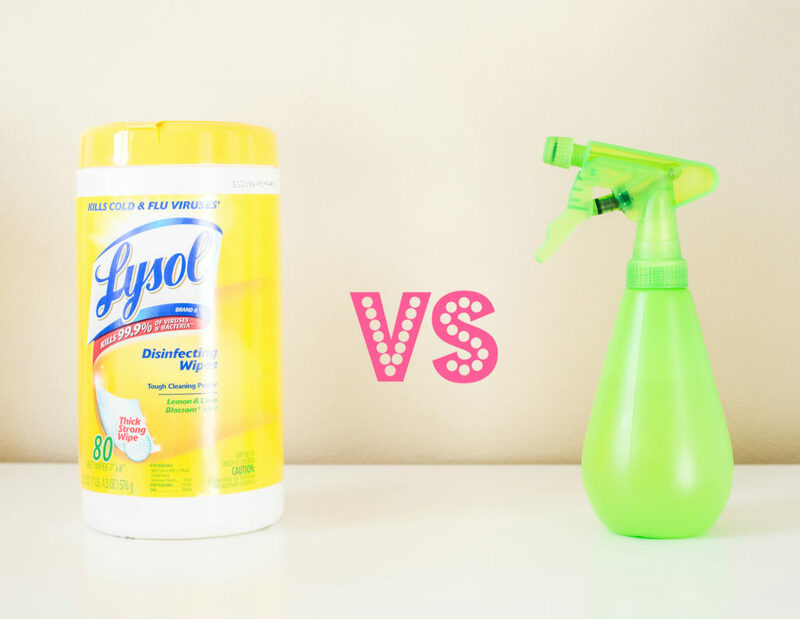 This is so easy - you'll wonder why you've been buying cleaning spray! 10-15 drops essential oils of choice want to see my fav brand? Is this all purpose spray work safe on wood? I’m concerned due to the alcohol content. I want to know if your home made cleaners (using essential oils, water,vineger) can be used on sealed granite. 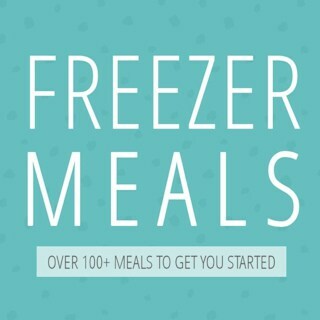 I just stumbled across your site and I love it. I am also a big fan of essential oils! 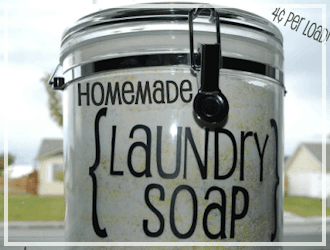 I have been making this same cleaner for years and I have to attribute it to my family (of four) not getting nearly as sick as we had been in the past! For those thinking about making it….do it! You won’t regret it! I have read, in passing (here and other places), that adding rubbing alcohol will keep essential oil and water from separating. 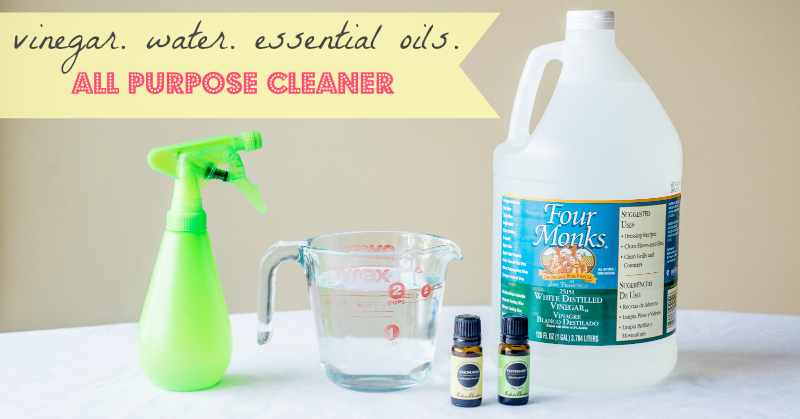 I use various vinegar/water/EO solutions for my home and this tip would be a great help. I am hoping someone can expand on this or share a website that has more information, please? I actually have a question about your dishwasher detergent. You said that the lemonade drink mix is added because it’s anti-bacterial, could you tell me what’s in it that makes it that way? When u say 1 part water 1 part vinegar in measuments cups tablespoons etc do u mean? 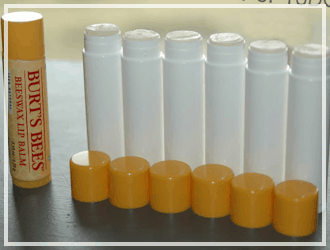 I heard essential oils can cause plastic bottles to leach. Thus putting those harmful chemicals into whatever is stored in them. Is this the case, or is this solution diluted enough that this doesn’t happen? Thanks so much. It is very diluted. If you are worried just make a small batch every time you use it. It’s so simple to throw together that it is worth it.